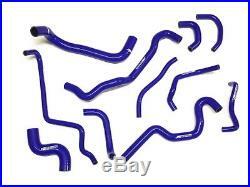 Performance silicone hose kit for the Micra K11 1.3 92-03. Kit contains 11 coolant/ancillary hoses. Note: This hose kit does not include hose clips. Stainless Steel hose clips can be supplied upon request for additional cost. Please include your choice of Hose Colour as a note on the order from the list below so we can ensure you receive the correct colour. 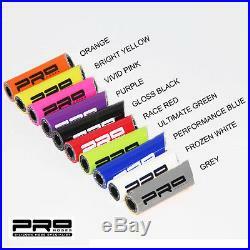 Hose colour: Black hoses Blue hoses Green hoses Grey hoses Orange hoses Pink hoses Purple hoses Red hoses RS Green hoses White hoses Yellow hoses Please Note: Custom colours can delay your order. We try to respond to messages within 24 hours. If you do not receive a response within 24 hours please send us another message. Please be aware that some of our items are made to order and can carry up to a 14 day lead time. Information on lead times for all made to order items will be included in the Product Description. Upon receipt of your order you will be asked to sign for the goods received in good condition. The item "JS Coolant + Ancillary Hose Kit for Nissan Micra K11 1.3L (1992-2003) Models" is in sale since Tuesday, June 9, 2015. 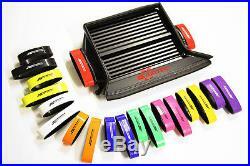 This item is in the category "Vehicle Parts & Accessories\Car Parts\Engine Cooling\Hoses & Clamps". The seller is "wg_motorparts" and is located in Rochester. This item can be shipped worldwide.